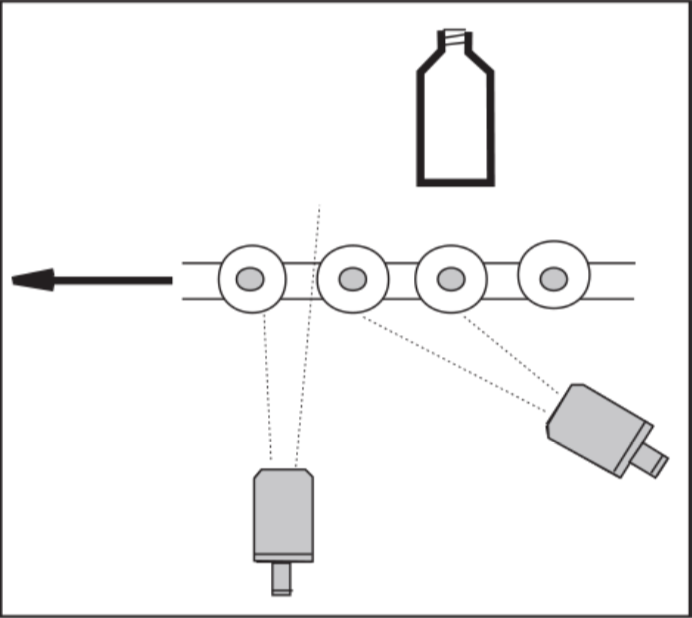 Parts on a moving conveyor can be monitored for temperature either continuously – measuring an average of conveyor and part – or discretely – measuring each individual part. For parts which completely, or nearly completely, cover the conveyor, measuring continuously will give good results. A powerful method of improving the optical density of the product as seen by the IRt/c is to angle the IRt/c such that it cannot see between the products. 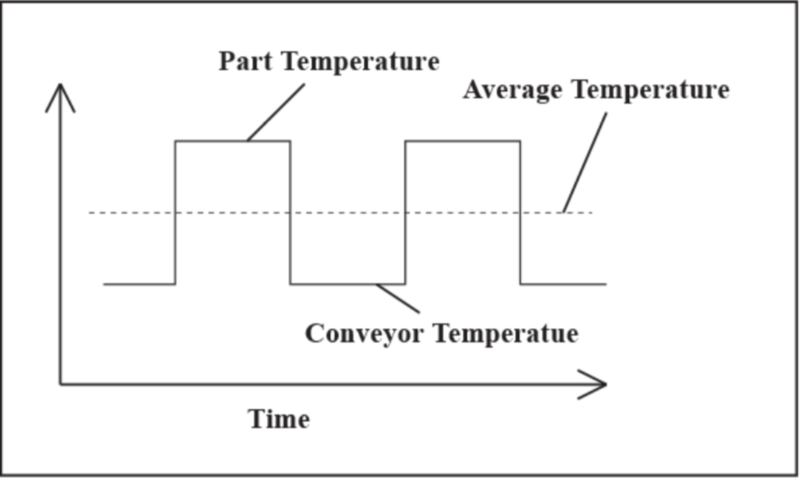 By doing this, temperature monitoring and control can be performed continuously with simple controllers, without the requirement for additional logic. However, for applications in which each individual part must be measured for communication to a central process control computer, additional devices are required. 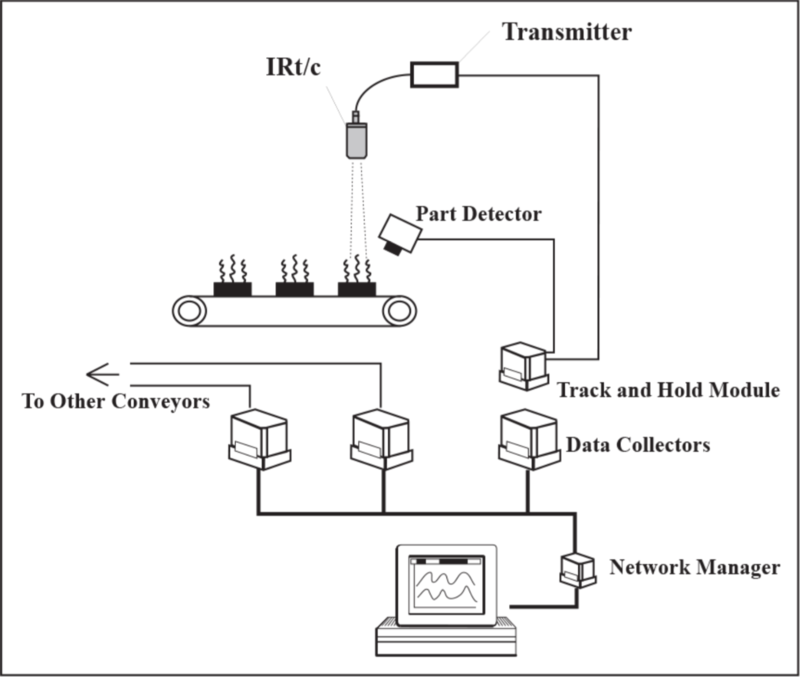 The most important are the part detection device, which detects when the part is within the field of view of the IRt/c; and the sample and hold device, which holds the previous reading when the part is not in view. Suitable control modules are available from various manufacturers to provide the necessary logic.